Deol Limo’s uniquely designed Party Limousine Bus service will take your party to another level. Our luxurious fleet of party limo buses can add more life, color and style to your next party. Apart from parties, you could also hire our party limo bus for your corporate functions, weddings, prom, airport travel, bachelor or bachelorette parties and tourist trips. Here are some of the features that make our service unique. 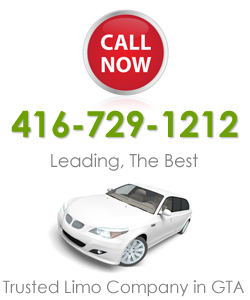 * Our vehicles are properly maintained and kept in excellent working condition at all times. * You can come over and inspect the vehicles that you want to hire. Getting a quote or making a reservation is very easy and convenient. Simply call the phone number on this web page. Our representatives will attend to you promptly. But if you need information after normal working hours, please send us an email or fill the contact form on our website. A response will be sent in less than 24 hours. Please endeavor to browse through our entire website for more information about our services. Deol Limo currently provides Party Limousine Bus rental services in Toronto, Mississauga, Oakville, Woodbridge, Brampton, Markham, Richmond Hill and Vaughan.